The job of network management software is to monitor computers within a local area network in an enterprise. The software also helps in managing other services and resources on a network like mail servers, printers and routers among other things. 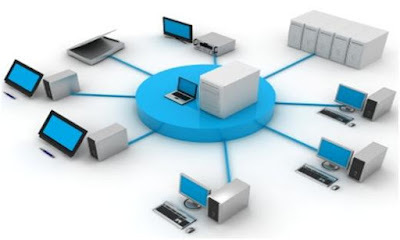 Using a network software you can restrict which computers can access shared printers or other resources.Network monitoring and management software is not only helpful for large companies but also for smaller organizations. Bandwidth Monitoring - The rate of transmission or receiving data is termed bandwidth. Higher bandwidth results in higher cost for the company. So every company tries to prevent wastage and bring down the bandwidth usage as much as possible. Bandwidth monitoring software helps in continuously monitoring bandwidth usage 24 hours a day. The software can identify which applications or computers are using the most bandwidth. Steps can then be taken to minimize this usage. Device monitoring - This type of software is mainly used to track the activities of each computer and device on the network. The software can help in keeping a constant watch on all activities of all computers. This type of software is also useful in keeping a check on employees to ensure they are not wasting their time in unproductive activities. For example, if network administrators find that there is lot of data being downloaded on a particular computer, they can check what is being downloaded. If it is something unrelated to company work, they can confront the particular employee asking him to stop that activity or can report him to the management so that they can take appropriate action on the employee. If such activities of the employees go unchecked, it can cause lot of problems for the company due to increased bandwidth usage and also due to reduced productivity from employees as they are engaged in non-business related activities. 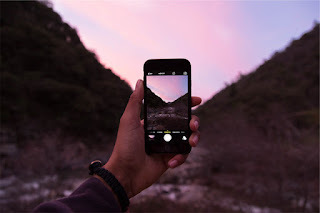 Therefore keeping a constant watch on all network devices is necessary in big or medium-sized organizations where it is not possible for the management to personally keep an eye on each employee. Security Software - The security of an organization's network is very important. It is also one of the most challenging jobs faced by the network administrators since there are sophisticated tools available at the disposal of hackers who can try to use them to gain access to network tools and sensitive data. Therefore the security software has to be really powerful and effective at preventing and thwarting hacking attempts. Not only should it prevent hacking attempts but also alert the administrators in the event of any such attempt. Visit our website if you are looking for a powerful network management tool for your organization which has many excellent features and which is user-friendly and affordable. 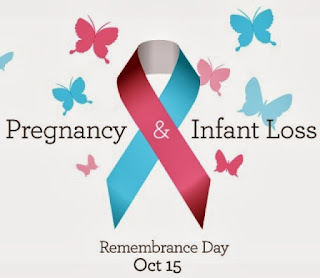 October 15th is National Pregnancy and Infant Loss Remembrance Day. Please join Greater Way Ministries in praying for the comfort and healing of families who have experienced the loss of a child in any way. We know God to be a healer and a restorer and ask that you stand in the gap with us for grieving families.Watching someone you care about experience loss is inevitable. Knowing how to respond when it happens can make a memorable difference. When someone we love is grieving the death of a friend or family member, it’s a challenge to know what to do. We want to say the right thing, show support and ultimately help in the healing process. In an instant, the death of a loved one turns life upside-down. Emotions are piqued and responsibilities are overwhelming, making it tough to know when to reach out and when to give space. Be there to listen. “It’s always tempting to give advice, but don’t,” Kihara says. True empathy, encouragement and compassion will help those going through a difficult time. State specifically how you’re able to help. Offer to prepare a meal, provide a ride, or help clean and sort through old items. Be sensitive to your friend’s feelings and proactive when it comes to meeting needs. When it comes to helping a loved one cope with loss, Renee Mahdavi knows what it’s like to be on the receiving end. 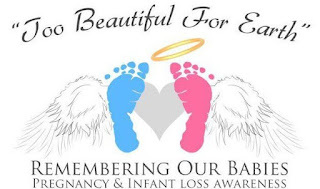 After experiencing several miscarriages, Renee acknowledges the importance of validating the loss itself. ISP billing software is a high-end solution for organizations providing internet and VOIP services. This allows the organization to manage recurring billing to its customers, thus maintaining a tidy accounting system, transparent enough to enhance the profitability of the organization. In keeping your accounts tidy and with all the necessary information available at the click of a button, your customer relationship factor increases to a greater extent, keeping your customers happy. The software provides ease of day to day operations, efficiently managing your customers, with you having an access to a huge lot of useful management reports. ISP billing software lets you set up role based security, where the administrators of the software can be assigned a role each, with its own username and password. This enables you to designate the role task to each of your administrators, which is or are related to the person concerned. You can further restrict your billing administrators to specific IP address for accessing the billing interface. The software features database back up at intervals, so that the data generated by you is protected in the event of any disaster. Over-all a good level of security is provided by the software, and also a safe guard against any data loss. Recurring billing: In ISP applications, any billing software that you use should have the feature to support recurring billing. ISP billing software supports variable charges to be created for customers, which pertains to the level of service that is being offered. There are provisions to add as many recurring charges that you need to, to an account. Charges are automatically set up during billing process, with necessary appropriation of billing amount for those customers who activate and de-activate in the middle of the cycle. Consumption billing: Consumption reading can be entered manually in alomost any format. You can configure the software with unlimited rate specifics and its components, where the rate component would consist of per-day, fixed charge and stepped-range components. Consumption-based components can have minimum amounts specified. Invoicing: ISP billing software provides you with the facility to generate invoices for your customer. This is generally done for any chargeable maintenance and spare parts that might have been required during the maintenance. The invoices so generated, may be posted in your accounts books straight away, or may just be submitted to your customers as quotes and then posted as and when the quotes are accepted. The invoicing feature lets you set up accounts receivable, and revenue accounts for each of the items you deal with. Penalty calculation: Penalties usually accrue on outstanding amounts. ISP billing software lets you calculate such penalties on the basis of the rates that you enter. You can set up an unlimited classification of penalties, and these could then be assigned to individual customer accounts. You can also set up minimum penalty amounts, or specify penalized items when you configure the software for penalty calculation. The other big advantage in ISP billing software is that you can generate management reports under various classifications, whether it is based on customers, date/time, or rates. You can generate such reports under the different account heads, bringing in more transparency to your financial dealings with your customers. These reports can be generated in various kinds of formats, such as, HTML, MS Excel, MS Word, etc. In order that your business operates smoothly you need to maintain your accounts tidy. ISP billing software helps you to do that, saving considerable time and your effort. The application demands recurring billing and ISP billing software handles it all, re-generating the bills each time as per the period specified by you. You can configure the periodic bill generation from the daily schedule to yearly. ISP billing software has the advanced feature of emailing your customers, warning them of the status of their outstandings, and informing them that their account is about to expire. It could be that some more information of the customer's credit card is required to continue billing. Or, the payment is long over-due, and unless the payment is made in time, the customer's account may be suspended. All these matters need to be related to the concerned customer and what is better than automatic emailing, which is one of the great features of ISP billing software. Smartguard is the complete tool for anyone wanting to manage internet, bandwidth and network security. It's a multi-function tool which is user-friendly. It provides network security and bandwidth management software by incorporating a firewall, virus scanning, anti-spam and manage traffic by IP Addresses, Ports, Packages and more. Smart guard is a complete solution for internet management as we are one of the best bandwidth management solution service provider. The solution is best suited for networks of Enterprises, Corporates, Institutes, Hotels, ISPs and Cable Operators. XS Infosol is participate in Convergence India in Pragati Maidan at New Delhi. XS Infosol is participate in Convergence India in Pragati Maidan at New Delhi in March 2008. This year It basically display its software products for the Human Resource Management, Call Management and Network and Bandwidth Management. XS Infosol is participate in Convergence India in Pragati Maidan at New Delhi in March 2007. This year It basically dipslay its Software products for the Network and bandwidth management. XS Infosol Organised a Party for its Employees at Yo China on the eve of Diwali. Here all employees from all the branches gather here and get the full enjoyment of party.